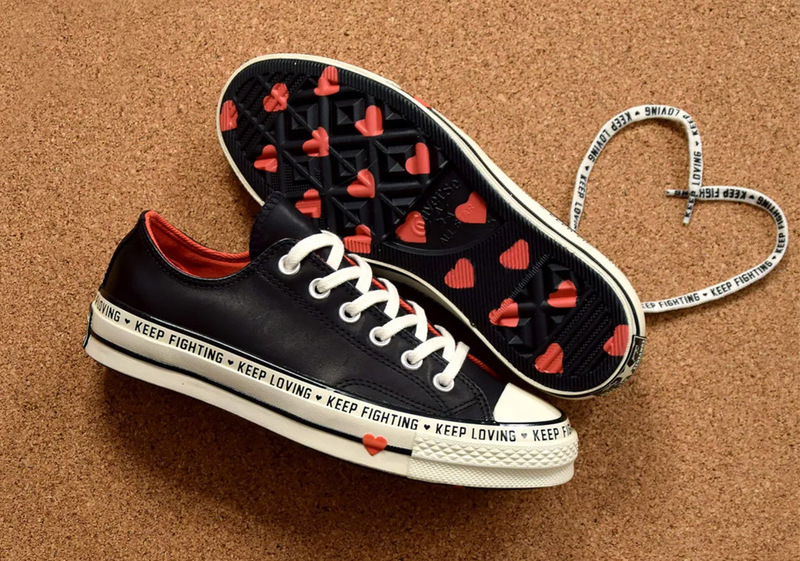 In honor of everyone’s favorite love-filled, chocolate-covered, mid-February holiday, Converse has just released a special version of the Chuck 70 Low ready to spread a special heart-felt message this Valentine’s Day. 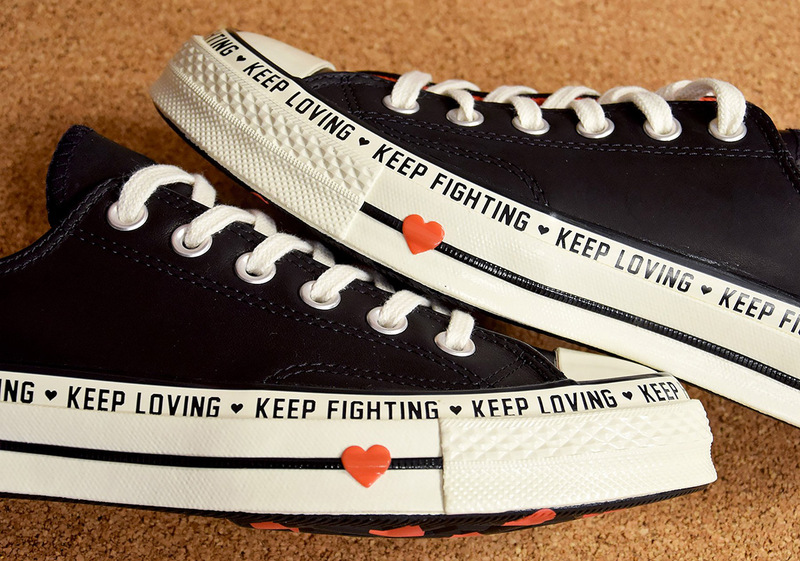 Anchored by a sleek, black leather upper, this Chuck Taylor’s midsole reads “KEEP LOVING, KEEP FIGHTING” in bold typeface with black hearts separating each message, and a striking touch of red on the symbol of love underneath it. 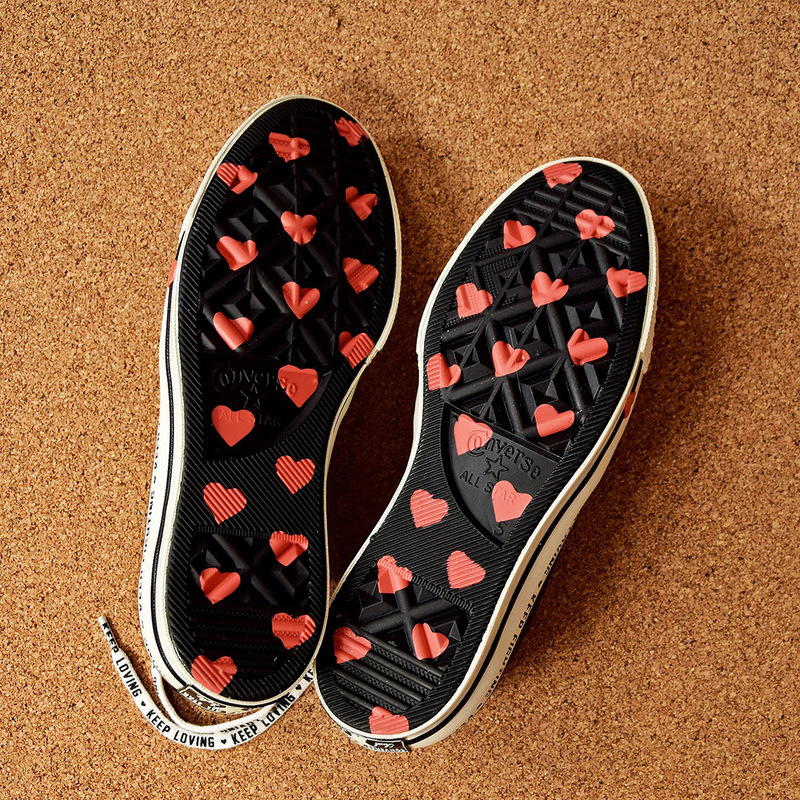 That same repeating pattern can be found on an extra set of laces, while this Low’s outsole equips an all-over heart graphic to put its message of love for the Big Day through the roof. Whether you are a female sneakerhead looking for new Chucks to add to your lineup or a man looking for the perfect V-Day gift, this heart-ridden Converse creation is available now at Nike.com.